Cablevision Optimum Triple Play offers better television, fast internet and home phone service. With Optimum TV, you get over 579 all-digital channels and HD is always free. With Optimum Online high speed internet, you can get from 15 MBps all the way up to 101 MBps (Megabits Per Second). With Optimum Voice you can say hello to unlimited calling in the U.S., Canada, Puerto Rico and US Virgin Islands. International calling can also be included. Optimum not available? Check other provider. Altice One - Optimum Triple Play - Optimum Select 200 Mbps gives you 200/35 Mbps internet, TV and phone for $89.99 a month for 3 years with NO ANNUAL CONTRACT. You'll get one Altice One device for tv, phone & internet service. Whole home WiFi for all rooms and all devices. Voice Activated Remote. 4K Ultra HD. With Optimum TV, you'll get 335 channels with free HD and On Demand. Showtime & Starz is also included for 1 year. With Optimum Voice, get unlimited calling to the U.S., Puerto Rico, Canada and the U.S. Virgin Islands, and over 20 calling features, including free 411. Altice One - Optimum Triple Play - Optimum Select 300 Mbps gives you 300/35 Mbps internet, TV and phone for $99.99 a month for 3 years with NO ANNUAL CONTRACT. You'll get an Altice One device for tv, phone & internet service. Whole home WiFi for all rooms and all devices. Voice Activated Remote. 4K Ultra HD. With Optimum TV, you'll get 335 channels with free HD and On Demand. Showtime & Starz is also included for 1 year. With Optimum Voice, get unlimited calling to the U.S., Puerto Rico, Canada and the U.S. Virgin Islands, and over 20 calling features, including free 411. Staying connected is easy with Optimum. Optimum Gold has over 415 all-digital channels with over 135 HD channels. Includes everything in Optimum Silver plus Cinemax, The Movie Channel and the Sports and Entertainment Pak. This package also includes unlimited calling with Optimum Voice telephone service and fast, secure and reliable high speed internet with Optimum Online. Optimum Gold has over 415 all-digital channels with over 135 HD channels. Includes everything in Optimum Silver plus Cinemax, The Movie Channel and the Optimum Sports and Entertainment Pak. This package also includes unlimited calling with Optimum Voice, blazing fast Internet speeds up to 50 Mbps with Optimum Online Boost Plus internet, a free Smart Router and more! Optimum Silver has over 365 all-digital channels with over 105 HD channels. Includes everything in Optimum Preferred plus HBO, Showtime, Starz. This package also includes unlimited calling with Optimum Voice and fast, secure and reliable Optimum Online high speed internet. Optimum Silver has over 365 all-digital channels with over 105 HD channels. Includes everything in Optimum Preferred plus HBO, Showtime, Starz. This package also includes unlimited calling with Optimum Voice, blazing fast Internet speeds up to 50 Mbps with Optimum Online Boost Plus internet, a free Smart Router and more! Optimum Preferred has over 310 all-digital channels with over 80 HD channels. Includes everything in Optimum Value plus Encore, Nick Jr., ESPNews and VH1 Classic. This package also includes unlimited calling with Optimum Voice and fast, secure and reliable Optimum Online. Plus SHOWTIME®, SHOWTIME ON DEMAND® and SHOWTIME ANYTIME® included for 12 months. Optimum Preferred has over 310 all-digital channels with over 80 HD channels. Includes everything in Optimum Value plus Encore, Nick Jr., ESPNews and VH1 Classic. This package also includes unlimited calling with Optimum Voice, blazing fast Internet speeds up to 50 Mbps with Optimum Online Boost Plus internet, a free Smart Router and more! Plus SHOWTIME®, SHOWTIME ON DEMAND® and SHOWTIME ANYTIME® included for 12 months. Right now, Optimum Triple Play - Optimum Economy gives you 200/35 Mbps internet, TV and phone for $69.99 a month for 1 year with NO ANNUAL CONTRACT. You'll also get a free Smart Router for fast connections on all your devices simultaneously anywhere at home (a monthly value of $6.99). With Optimum TV, you'll get 260 of the best channels with free HD and On Demand. HBO and Showtime is also included for 1 year. You'll also get Multi-Room DVR Plus free for 2 years so you can rewind live TV and record up to 15 shows at once. With Optimum Voice, get unlimited calling to the U.S., Puerto Rico, Canada and the U.S. Virgin Islands, and over 20 calling features, including free 411. Staying connected is easy with Optimum. Optimum Value has over 235 all-digital channels with over 60 HD channels. Channels to choose from like, ESPN, MTV, CNN, MSG, and more. This package also includes unlimited calling with Optimum Voice and fast, secure and reliable Optimum Online. Plus SHOWTIME®, SHOWTIME ON DEMAND® and SHOWTIME ANYTIME® included for 12 months. Optimum Value has over 235 all-digital channels with over 60 HD channels. This package also includes unlimited calling with Optimum Voice, blazing fast Internet speeds up to 50 Mbps with Optimum Online Boost Plus internet, a free Smart Router and more! Plus SHOWTIME®, SHOWTIME ON DEMAND® and SHOWTIME ANYTIME® included for 12 months. You may have recently moved into a new apartment or house and want tv, phone and internet service. Are you sure that Optimum is available at your street address? Check here. 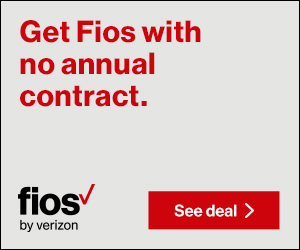 Go to Verizon FiOS website and check availability, pricing and services offered. Go to AT&T U-verse website and check availability, pricing and services offered. Go to Time Warner Cable / Spectrum website and check availability, pricing and services offered. Go to DirecTV website and check availability, pricing and services offered. Go to Dish Network website and check availability, pricing and services offered. Go to Charter / Spectrum website and check availability, pricing and services offered. Optimum has multiple package options and is one of the best priced tv, phone and internet service providers nationwide. Ask yourself, is the pricing for similar service elsewhere cheaper than Optimum pricing? Many people are cutting the cord and opting for free television. Free television can be accomplished by simply buying an antenna and connecting it to your HDTV or digital tv's antenna input and scanning for free digital OTA (over the air) channels. Free digital OTA Offers local broadcast channels such as ABC, CBS, NBC, FOX and PBS; in addition to free digital tv specialty channels like Antenna TV, MeTV, COZI TV, Decades, startTV, MOVIES! TV NETWORK, this TV plus more (All these channels are also available with any Optimum TV package). Another option for cable tv are OTT (over the top) services like YouTube TV, HBO NOW, Hulu Live TV, Playstation Vue, Sling TV, FuboTV, DirecTV Now, at&t WatchTV, locast and philo. These OTT providers offer a service very similar to cable tv. You will get channels like MTV, TBS, ESPN, HGTV; even premium channels HBO & Showtime; all streaming live and accessible through just your Optimum Online internet connection. If you just wanna watch FREE movies online, via your Optimum Online internet connection, check out sites like PLUTO TV, IMDb Freedive, STIRR, Crackle, VUDU - Movies On Us and tubitv. Get Optimum Triple Play starting at just $84.95 a month for your first year. Plus SHOWTIME®, SHOWTIME ON DEMAND® and SHOWTIME ANYTIME® included for 12 months. Get more with The Optimum Triple Play! Three great services for one low price. Watch live TV and On Demand anywhere in your home with the Optimum App. Get free access to over 60 HD channels including HGTV HD, TLC HD, ESPN HD, MSG HD and YES HD plus exclusive local channels like News 12 HD and MSG Varsity HD. Choose from thousands of Free On Demand programs, including NBC, ABC and FOX Prime Time shows plus popular kids and music programming. With TV to GO, watch some of your favorite shows and movies online, even when you're away from home. Depending upon your level of service, choose from HBO, CNN, Cartoon Network, News 12 and more. There's no expensive equipment to buy and no long-term contract to sign. Over 20 great calling features included, like Caller ID on Optimum TV, Call Waiting, Find Me, Caller ID Blocking, and more. Take the power and convenience of your home phone virtually anywhere with Click to Call. Get speeds up to 15 Mbps downstream and 2 Mbps upstream so you can download music, stream movies or just browse the Internet at blazing fast speeds. Stay connected to the Internet when you are away from home with fast, free Optimum WiFi. Get online at over 80,000 indoor and outdoor hotspots in the Tri-State area, like train stations and parks. Protect your network with free security software, which includes advanced anti-spyware and parental controls. Five email addresses included plus Mobile Mail so you can access your email on the go. Offer to new residential, existing Non-Video and Broadcast Basic-only customers. 1 modem per household. Must maintain all 3 services at required levels for promo period to maintain promotional pricing. As of the 13th month all svcs will be billed at regular rate. Installation fee and monthly equipment charges apply. Next Day standard installation shall be completed within one day of order subject to any cause beyond reasonable control (not valid for online orders). Digital cable box, HD digital cable box or CableCARD at addt'l monthly charge will be req for each TV. Interactive services, features & certain digital channels req a digital cable box. Depending on location, some or all service & equipment rates, plus certain addt'l charges, are subject to state &/or local fees of 0 - 5.30% & FCC user fee of 8¢, sport programming surcharge of $2.98 also applies. CT requires collection of taxes on addt'l services. All fees and taxes will be added to bill. Optimum App requires Optimum TV w/cable box or CableCARD, Optimum authorized modem and wireless home router. Minimum system requirements apply and require app download and installation. Subscription to channels and valid Optimum ID and password required for TV to GO programming, including SHOWTIME ANYTIME, only available in the U.S. All channels not avail on all devices. Minimum connection of 3 Mbps required for HD viewing. Some On Demand titles available at an addt'l charge. Subscription to SHOWTIME required to receive SHOWTIME ON DEMAND and SHOWTIME ANYTIME. Optimum Voice is a cable-modem service available exclusively to Optimum Online customers. If keeping phone #, transfer charge applies. W/o battery backup, e911 service will not operate if you lose power. If Optimum Voice service is disconnected, e911 will be disconnected at same time. If broadband service is disrupted or disconnected, e911 will not function. Customer must notify Optimum before cable modem is moved to different address in order for e911 to function properly. A 50¢ charge per line covers certain NY taxes on Optimum Voice. OPTIMUM ONLINE: Minimum system requirements and equipment configurations apply. Optimum WiFi access in select areas at no addt'l charge. A WiFi-enabled device, web browser and valid Optimum ID and password are required. Pricing, offers & terms subject to change and discontinuance w/o notice. All services & channels may not be available in all areas. All trademarks and service marks are the property of their respective owners. Optimum, the Optimum family of marks, and Optimum logos are registered trademarks of CSC Holdings, LLC. ©2019 CSC Holdings, LLC.